(Berlin / New York, 11th September 2018) On 12th September 2018 the 10th annual Beyond Sport Global Awards ceremony will take place at the One World Observatory in New York. From worldwide over 400 applications, Science on Stage Germany and its cooperation partner SAP was selected for the shortlist in the category ‘Best Corporate Campaign or Initiative in Sport for Good’. 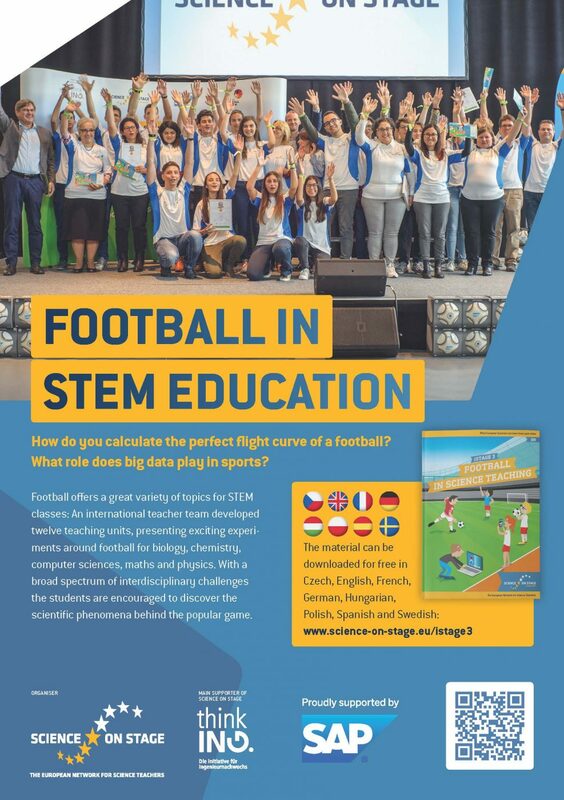 Science on Stage is nominated for its international teacher project ‚iStage 3 – Football in Science Teaching’ and the ‚European STEM League’ as follow-up competition. The project is proudly supported by SAP and focuses on sparking students’ interest in STEM by discovering the scientific phenomena behind the popular game football. The main aim is to promote scientific literacy of students – an essential skill, not only for work in the STEM field, but also for active participation in society. This approach also convinced the Beyond Sport Foundation. With its Global Awards the foundation recognizes organisations that significantly contribute to society. Besides Science on Stage and SAP, 34 further organisations, programmes and projects are nominated in a total of twelve categories. “This year’s group was especially competitive, so the organizations and individuals should be very proud of their achievement,” said Nick Keller, Founder and President, Beyond Sport. This nomination confirms Science on Stage in its work. The next teacher project with SAP is already in progress, this time on ‚Coding in STEM Education’.